Single and multi-threaded benchmarks for AMD’s high-end 8 core, 16 thread Ryzen 7 1700X CPU are here and they’re mighty impressive! 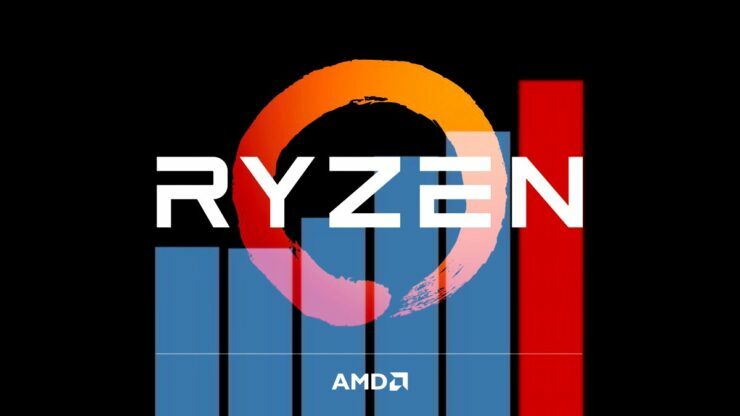 The company’s highly anticipated family of next generation enthusiast desktop Ryzen CPUs is less than a month away, with an official launch date set for March 2nd. And while the company has remained somewhat tight-lipped about the details of its upcoming product line-up, a host of credible leaks have kept us in the loop about what’s due in March. To date, we know of at least 17 different Ryzen SKUs. Which include 8, 6 and four core CPUs set to take on Intel’s i7, i5 and i3 chips. All of which are fully unlocked and overclocking ready to boot. Specifications for only three of the 17 models have been confirmed so far. These include the company’s top-end $499 Ryzen 7 1800X. An 8 core, 16 thread 95W CPU with a 3.6GHz base clock and a 4.0GHz Turbo & unlimited boost thanks to a neat feature AMD calls Extended Frequency Range or XFR for short. We talked about what it does and the complementary technologies that work in tandem with it in our Ryzen article yesterday. In the simplest of terms it will push your CPU’s clock speed as high as it will go, as long as your CPU stays within safe thermal limits. The better the cooling the higher the clock speed you’ll get. The two other chips are the Ryzen 7 1700X and the Ryzen 7 1700. The former boasts identical specs to the 1800X, albeit is 200MHz short on both the base and turbo frequencies. The Ryzen 7 1700 is slightly different. It’s a more energy efficiency oriented product with a power rating of 65W, 30 watts below the 1800X and 1700X. We covered the entire spec-sheet of the Ryzen 7 1700 which has been published yesterday by an online retailer in Germany. This little chip brings octo-core Ryzens down to a shockingly affordable MSRP of $319. Less than one third the cost of its nearest Intel 8 core. The benchmarks we’re going to be looking at are part of a verified Passmark entry that went live earlier today. The test system on which the benchmarks were conducted was equipped with an entry-level MSI A320 AM4 motherboard, which does not support any overclocking functionality, and 16GB of 2400MHz DDR4 memory. The ID string of the engineering sample, confirms an 8 core, 16 thread Ryzen CPU with a base clock of 3.4GHz and a turbo clock of 3.8GHz. Which are identical to the specs of the Ryzen 7 1700X. Although Passmark’s PerformanceTest 9.0 has notably failed to register the chip’s Turbo clock. It’s not clear whether the engineering sample was running at 3.4GHz without any turbo functionality during testing or if the application simply failed to read the turbo clock. So keep that in mind as you interpret the benchmark scores. The specs for all systems included in the following benchmarks are listed in the screenshot above. Including the base and turbo clock speed at which each CPU was operating. With all of that out of the way, the time has come to get to the juicy bits! So, let’s get straight into it! The tests include integer math, floating point performance, prime numbers, encryption, compression, sorting, SSE performance and physics. The AMD Ryzen 7 1700X outperformed every other CPU in 5 out of the 8 tests. Including Intel’s fastest 8 core chip, the $1099 Broadwell-E i7 6900K. In comparison to Intel’s $999 8 core extreme edition Haswell-E i7 5960X, Ryzen was faster in 6 out of the 8 tests. The 1700X showed particularly good performance in integer math and encryption. Which bodes well for Zen’s competitiveness in the enterprise and server markets. Averaging out the results from all 8 tests the 1700X gets an overall CPU Mark score of fifteen thousand. Coming in at roughly 4% behind the i7-5960X and 9% behind the i7-6900K. Both of which retail for well over double the pre-order price for the 1700X. Very impressive indeed, especially considering we’re not even talking about AMD’s fastest Ryzen chip. Which should be the 4GHz 1800X according to what we know right now. Even faster chips — a la 1900X — could be in the works. Let’s move on to the last and perhaps most important benchmark we have. Passmark’s single-threaded performance test. This has always been AMD’s Achilles heel and why its CPUs have struggled to compete with Intel in gaming performance. Is it possible that Jim Keller and his team were able to close the gap that Intel has built over five years in a single generation? This is the moment of truth. The answer is a resounding yes. Regardless of the fact that the engineering sample we’re looking at may be only running at 3.4Ghz without Turbo, the result would remain just as impressive even if it was hitting its intended Turbo clock speed of 3.8GHz. It manages to successfully edge out the 5960X and the 6800K and falls behind the 6900K by no more than 3%. That’s a very impressive feat considering Intel’s i7-6900K and i7-6800K both turbo up to 4.0GHz and 3.8GHz respectively in single threaded mode thanks to Broadwell-E’s Turbo Boost 3.0 feature. This means that even if the Ryzen engineering sample was in fact running at 3.8GHz Turbo frequency, it would still be outperforming Broadwell-E clock for clock ever so slightly. Only Intel’s i7-7700K Kaby Lake speed freak with its 4.5GHz turbo manages to distance itself from the 1700X. Although, we’re talking about a 91W quad-core going up against a full blown octo-core rated at only 4 watts higher. Ryzen is so far ahead of AMD’s last generation FX 8350 Piledriver chip, it’s almost dizzying. It puts into perspective the enormity of the challenge that the company’s engineering team had to overcome. Bringing this to a close we have to remark on one of Ryzen’s surprising strong suits and that’s its efficiency. Despite having double the cores, threads and cache of the 7700K it somehow manages to only dissipate 95 watts of power. Granted the 7700K is clocked significantly higher but all of AMD’s 8 core Ryzen chips that we’ve seen to date manage to come in at 45 watts and even up to 75 watts below their most directly comparable Intel counterpart, the 140W eight core i7-6900K. It will be very interesting to see if Ryzen chips will live up to their impressive TDP ratings in real-world independent testing. All in all the Ryzen story has been an exceedingly positive one. No matter what metric we look at, whether it be absolute performance, value, power efficiency or features we can’t help but find Ryzen to be one of the most compelling products that AMD has ever developed.